The findings, reported by researchers at the University of Texas’ Center for BrainHealth and the Albuquerque-based Mind Research Network, are published in the prestigious Proceedings of the National Academy of Sciences. Researchers say the age of onset — meaning the age at which someone starts using marijuana — and duration of use have unique effects on brain development. Some of the brain differences they observed in regular marijuana users are differences that already have been reported in studies of mice. The researchers studied 48 “chronic” users and 62 non-users matched by age and gender. They also controlled for tobacco and alcohol use. The researchers defined chronic users as people who used marijuana at least four times a week — and participants in their study consumed the drug an average of three times a day. (Side note: still more evidence that marijuana is addictive.) Subjects were an average age of 28 to 30 years old. Researchers found in chronic users smaller gray matter volume and greater structural and functional connectivity directly correlated to the severity of marijuana use. The more intense “connectedness” could be the brain’s way of compensating for the shrunken gray-matter regions. the effects observed in this study are a direct result of marijuana use or a predisposing factor. A 2012 study found that 12-year-olds with smaller orbitofrontal cortices were more likely to start using marijuana by age 16. 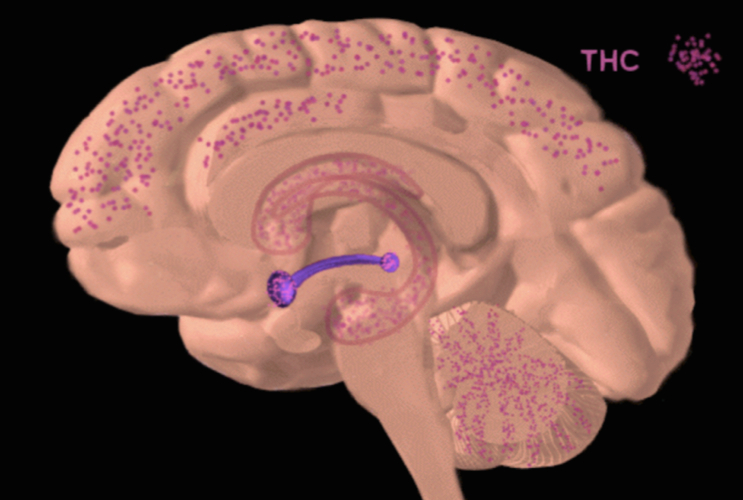 This possibly signals a predisposition to marijuana use in youth with these brain-region deficits. Why worry about lead but not weed? Just off the top of my head, studies have found abnormalities associated with pot use in the striatum, thalamus, amygdala, nucleus accumbens, global palladium, orbitofrontal cortex, precuneus, and fimbria. I look at it this way: my own experience (37 years of marijuana use) and those of friends who use indicate damage to memory, motivation, judgment, cognitive ability, and emotional maturity. Social science has tracked pot users in long-term studies and found negative life outcomes right in line with those experiences. And now brain imaging is finding abnormalities in parts of the brain involved in exactly the same mental processes that control memory, motivation, judgment, cognition, and emotion. Three layers of evidence are hard to dismiss. Thanks very much for sharing your thoughts — and a little about your experience — with us, Preston. We deeply respect people in substance recovery who speak on these issues publicly. Your voice is very important — and one our country doesn’t hear nearly as often as it should. We hope you’ll continue to chime in here on DrThurstone.com early and often. We also wish you well and hope you’ll contact us if you think we could in any way be helpful to your sobriety.